Any United States citizen who has served, or is serving, as a Commissioned Officer, Warrant Officer or Enlisted person of the Navy, Marine Corps, Coast Guard and any other Federal military maritime service of the United States, including the commissioned corps of the U.S. Public Health Service (USPHS) and the National Oceanic and Atmospheric Administration (NOAA) or citizens who are an eligible officer's, Warrant Officer's or Enlisted person's descendant over eighteen years of age, shall be eligible for Regular membership; provided, however, that all who have left the service shall have departed with an honorable record or shall have been honorably discharged, and, in the case of currently-serving enlisted personnel, the last enlistment shall have been completed honorably. Spouses of present and deceased Regular members; and those, other than United States citizens, who have served or are serving honorably as Commissioned Officers in an allied seagoing Service, shall be eligible for Associate membership. 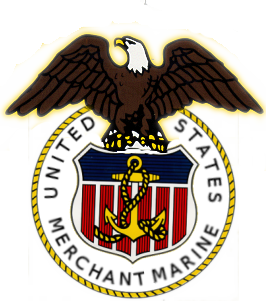 The General Commandery or a Local Commandery may confer associate membership on an individual otherwise eligible for solely honorary membership if that individual is of such outstanding reputation and strong affiliation with the maritime services that this class of membership is deemed more appropriate than honorary membership. Additionally, a federally recognized Midshipman (or Cadet at the USCGA) over the age of 18 who is a member of the upper two classes and who will be eligible for commissioning as an Ensign or USMC Second Lieutenant upon graduation, shall be eligible for associate membership. Upon commissioning, such associate members become regular members, but such Companions may be assigned as affiliates to a Local Commandery only upon prior approval of that Commandery. Upon approval of the application, the applicant shall become a Regular or an Associate Companion of the Naval Order of the United States, enjoying full rights of membership, provided however, that only Regular members who are United States citizens shall be eligible for election to a national officer position. The Companion may be assigned as an affiliate to a Local Commandery only upon prior approval of that Commandery. Either the General Commandery or a Local Commandery may confer Honorary membership, which shall be restricted to individuals of outstanding reputation who, although they may not be eligible for Regular or Associate membership, have nonetheless so distinguished themselves in the interest of the Naval Services, or of the Naval Order, as to warrant conferring such honor upon them. Payment of prescribed dues and fees shall be the responsibility of the individual or the sponsoring body as determined by the latter. Honorary Companions shall neither hold national office nor serve as voting delegates to a Congress or as Companions-at-Large of the General Council. The privileges of membership are the same for all three classes except that Honorary members may neither hold national office, nor serve as voting delegates at a Congress. Membership in the Naval Order is by invitation. Interested parties may make application through any NOUS companion. He may be reached at: JoinNOUS@gmail.com or (H) 201-314-9875.